Several studies have shown that pecans have the ability to lower total cholesterol levels by at least 5% and LDL cholesterol by up to 10%. So how does this happen? 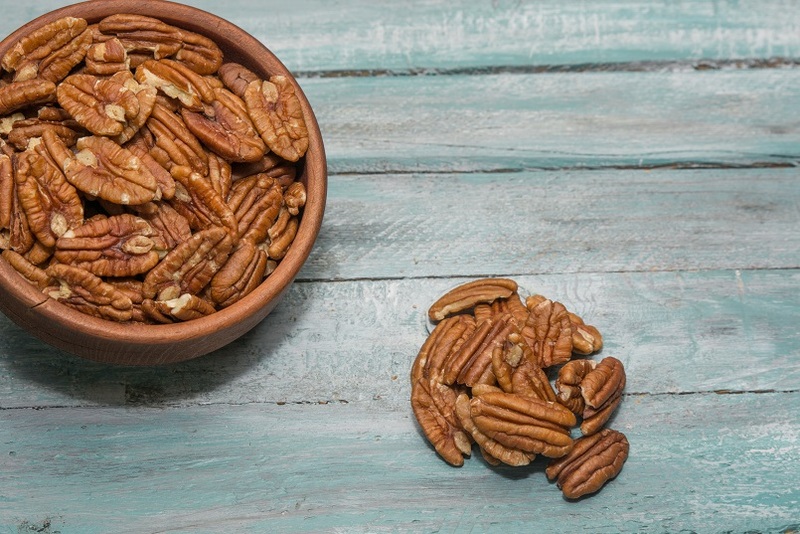 Pecans start out as a filling cholesterol-free snack. So even if they didn’t have any additional health benefits, they would be a nutritious, filling snack. But pecans offer so much more. One ounce of mammoth pecan halves contains about 200 calories and have about 20 grams of monounsaturated fatty acids, a type of fat linked to improving total cholesterol levels. These fats are considered heart-healthy since they help keep your cholesterol and triglyceride levels in check. These two nutrients have been shown to slightly lower LDL cholesterol levels in some studies. Polyphenols fight off free radicals and help regulate body systems and fiber slows the absorption of fats into the bloodstream. Pecans are the perfect heart healthy snack. Add kosher pecans to your diet now by buying them from the leading environmentally friendly pecan farm, Stahmanns. For more information about our wholesale pecans for sale, call us at 844-739-6887 or contact us using our simple online form.